It’s nearly time to gear up and hit the road for hundreds of riders participating in the second annual Reach the Beach in Washington. The American Lung Association (ALA) is hosting the perfect opportunity to close out the season with their event on September 29. 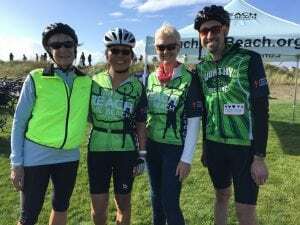 It promises to be a beautiful ride supporting a worthy cause.It’s nearly time to gear up and hit the road for hundreds of riders participating in the second annual Reach the Beach in Washington. The American Lung Association (ALA) is hosting the perfect opportunity to close out the season with their event on September 29. It promises to be a beautiful ride supporting a worthy cause. 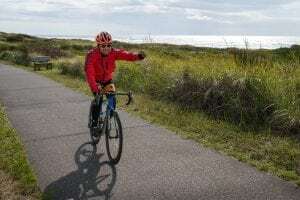 Hundreds of cyclists, both seasoned and novice, will ride on a fast, flat route through Thurston and Grays Harbor counties. Last year, the ALA enjoyed a great turnout with hundreds of riders and they are delighted to bring the event back for another year. ALA works toward a cause that is relatable for all people, advocating to help educate and prevent lung problems as well as to help people with preexisting issues and much more. The Grays Harbor Reach the Beach event has been made possible by a grant from the Grays Harbor County Tourism Department, who distributes $300,000.00 in grant money annually. Riders of Reach the Beach can pick from several distance options that best suit their needs and skill sets. With four possible starting points beginning from Lacey (100 miles), Olympia (81 miles), Elma (44 miles) or Cosmopolis (25 miles), participants can ride at their comfort level before completing the ride and attending the celebration in Westport. “The last eight miles are actually on the bike track on the dunes of the beach at Westport, which is just a really beautiful route,” says Oltmann. Go solo or go with a group and enjoy the beautiful scenery in Grays Harbor and Thurston counties. Photo Courtesy: American Lung Association. The event is well organized along the entire length of the route, so riders starting in Lacey or later in Cosmopolis, can expect rest stations every few miles, along with medical and mechanic personnel. Lunch and snacks will be provided to refuel. The halfway point is a popular place to start. For people wanting to stay in Elma the Friday night before the event and start at the Elma High School on Saturday morning, there are some good lodging options available. There are campground sites at the Grays Harbor County Fairgrounds for $20 a night with on-site showers and bathrooms or the Stay Beyond Inn & Suites just down the road. Some local eateries to swing by and try out are SchuJacks Bar & Grill or the Rusty Tractor. There will be plenty of chances to rest along the way once the event begins, with stations every 15 miles, but riders should make sure to stop at the last one before the end. The ALA is also doing a wine valet service. Riders interested in purchasing wines can have them brought out to Westport. Buy some delicious, local wine and fundraise at the same time – what a sweet deal! The cost to register is $55 per person with a minimum of $150 in fundraising to participate at Reach the Beach. Photo Courtesy: American Lung Association. Blackbeard’s Brewing, a local pizza restaurant and brewery, will be at the finish line serving up local beer. Aloha Alabama BBQ & Bakery will be serving dinner Saturday evening that’s sure to be savory. For those who would like to continue their weekend out at the beach and room overnight, there are a couple of lodgings with discounts for riders. Check out Chateau Westport Resort or Vacations By The Sea for more information. Enjoy the rest of the weekend climbing the outlook tower, walking the marina, shopping or visiting the Westport Maritime Museum, among many other activities. For those hankering for some fresh seafood, there’s no shortage of good eats nearby, like the appetizing fish and chips at Bennett’s Fish Shack. Reach the Beach is modeled after an annual cycling event in Oregon that has been going on for 27 years by the same name. Bringing it to Washington has been a great experience for ALA and participants, many breaking their personal records during the inaugural event. For riders wanting to end the cycling season with a century ride, this event is the perfect time to check it off the list. If riding isn’t a possibility, there are other ways to support this great cause and enjoy the community. “There are a lot of volunteer opportunities for students or any groups all the way along the route,” Oltmann says. Registration for the event is $55 with a minimum of $150 in fundraising to join. There is no cutoff date but don’t delay signing up for the fun. For more information on incentives, registration, volunteering or donating, visit the official Reach for the Beach Washington website.